Investigators believe that a 76-year-old driver may have suffered a medical episode shortly before he plowed into two people on the sidewalk, sending one to the hospital with serious injuries. Hillsborough County Sheriff’s Deputies believe that the 74-year-old driver had a medical episode as he pulled out of a YMCA parking lot, causing him to lose control of his Acura. The vehicle then veered onto the sidewalk, where it hit the victim. First responders rushed her to a nearby hospital with serious injuries. The Acura driver was hurt as well; another pedestrian in the immediate area was unhurt. In the above story, the tortfeasor (negligent driver) had just pulled out of a parking lot. So, the vehicle was probably not travelling at top speed. That fact probably saved the victim’s life, as well as the other person’s life. If a vehicle strikes a pedestrian at under 30mph, the fatality rate is about 10 percent. If the impact speed exceeds 40mph, the fatality rate jumps to 90 percent. Head Wounds: Sometimes, the jarring motion alone is enough to cause whiplash, which is one of the most serious kinds of head and neck injuries. Moreover, sudden impacts basically transform cell phones and other small objects into high-speed projectiles. These missiles often hit a victim’s head. Broken Bones: Florida car crash victims sustain serious lacerations which often extend to their bones. The breaks usually require metal replacement parts during corrective surgery. That means extensive, and expensive, physical rehabilitation after the injuries heal. Exsanguination: Blood loss is usually the actual cause of death in serious crashes. By the time first responders arrive, many victims have already lost about a third of their blood. That loss places them on the verge of hypovolemic shock. These injuries trigger high medical bills, extensive time away from work, and other economic losses. Victims must also deal with pain and suffering, loss of consortium (companionship), emotional distress, and loss of enjoyment in life. Compensation is usually available for these losses as well. Thousands of people in Tampa suffer from heart disease, epilepsy, diabetes, and similar conditions. A sudden loss of consciousness while driving can involve either negligence or negligence per se. Drivers who know they have any of these conditions, or similar ones, also should know that it can at times be dangerous to drive. Yet sometimes certain irresponsible drivers consciously put other people at risk regardless of the potential danger. Such a decision is the very essence of a lack of care. Moreover, if a driver has such a condition, Florida law usually mandates that these people cannot drive if their ability to drive safely is jeopardized by the illness. Most drivers simply ignore such safety suspensions and keep driving anyway. That behavior raises a presumption of negligence in Florida. In both these scenarios, this kind of extreme negligence often raises the possibility of additional punitive damages. This money is available if there is clear and convincing evidence that the tortfeasor intentionally disregarded a known safety risk. 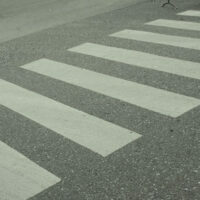 Even low-speed pedestrian crashes often cause serious injuries. For a free consultation with an experienced personal injury attorney in Tampa, contact The Matassini Law Firm, P.A. Home and hospital visits are available.